Businessman Alvaro Noboa, Sylka Sánchez (candidate for National Assemblywoman), and candidates from the Guayas District # 1 of the Adelante Ecuatoriano Adelante party, were received with kisses, the sound of drums in the middle of a great feast by the residents of the Santiaguito de Roldós housing cooperative, in southern Guayaquil. Despite the joy because of the presence of the group, the clamor of the inhabitants was the same. They expressed that they need jobs, facilities to access loans and to be able to develop their businesses, security, the eradication of crime and drugs, and a way out of the economic crisis. The party leader invited Ecuadorians to vote for his candidates this February 19, the day of the general elections and promised to work alongside the members of the group once they reach the Assembly. “I ask all Ecuadorians to vote for us, so we can give you the security you need, to end the drug trafficking in the country and to have money circulating and well-paid jobs. 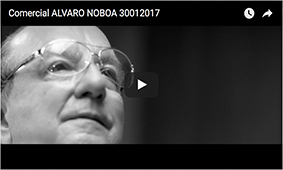 We commit to you and vote for us to achieve all this,” said Alvaro Noboa to one of the residents of the sector.